HELMAND -- Hundreds of residents of Helmand Province called upon the Taliban to renounce violence and to accept offers of peace during separate gatherings in late January. "We have seen the destruction of war... it didn't bring us any positive change," Gulalai Helmandi, a 42-year-old resident of Nahr-e-Saraj District, said during a gathering in the district on January 28 that brought together hundreds of women. "I send my son to school, and until he returns home, I ... fear that I may lose him to a bomb," she told Salaam Times. "We're all Afghan, and let's make peace. Peace brings us brotherhood, unity and friendship. We should not kill each other," she said. "We ask the Taliban: how much longer will they kill our husbands and children?" "We haven't seen anything other than war, destruction and killing in our country," Bibi Sima Dawi, 28, a civil society activist from Nahr-e-Saraj District, said at the gathering. "Our innocent children do not know anything, and they are victims of this war," she said. "We have seen every mother in Helmand lose two or three of her family members. The Taliban have killed our innocents," she said. "The war has disabled our youth." "Peace is not a gift that others should give it to us," Dawi said. "We have to make peace, and women can do a lot in this process." 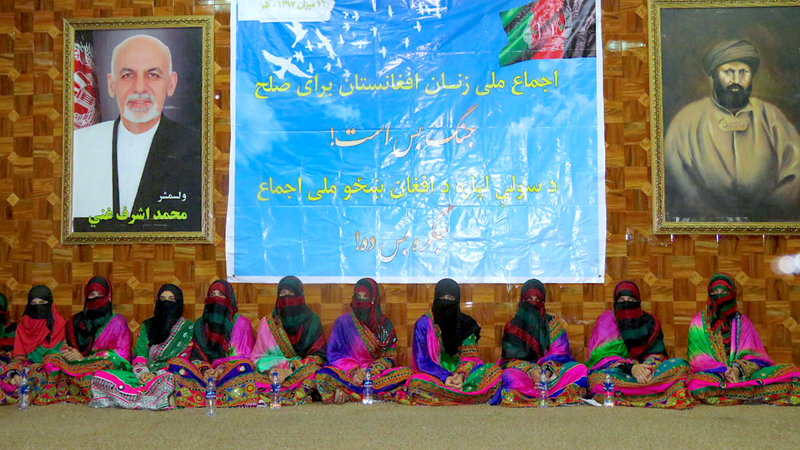 Bibi Rozia Balooch, 23-year-old resident of Nahr-e-Saraj District, said she participated in the gathering because the Taliban killed her husband. "The Taliban should renounce violence and make peace," she told Salaam Times. "If the Taliban gained anything from killing my husband, they can tell me what it was." At another gathering January 31 in Nawa District, hundreds of young Afghan men also called on the Taliban to stop their violence. "All victims of war are young and the Taliban should stop killing us," Lal Muhammad Safa, 25, a lecturer at Helmand University in Lashkargah, told participants of the gathering. "What have they achieved in the past four years of violence other than killing Afghans?" he said. "Tell us what have you achieved in this war other than killing your brothers and losing your own lives." "I have lost my father in the war and I am one of the victims," Gulab Shah Ahmadi, 26, a civil society activist in Nawa District, said at the gathering. "I call on the Taliban to stop killing us and make peace." "This fire burns you and us alike, so who benefits from it?" he said. "We have gathered here to call on you [the Taliban] to make peace. This war is led by foreign intelligence circles, and it benefits Iran and Russia -- not us." "God has said in the Koran that when righteousness comes, it overcomes falsehood," said Sayed Abdul Wahab, 55, a member of Lashkargah Ulema Council. "War is a blazing fire. Muslims have created a searing fire for themselves," he told Salaam Times. "We asked the government to stop killing the Taliban, and we call on the Taliban, for the sake of the Koran, to stop their killing." "We beg the Taliban to stop killing their brothers and renounce violence," Wahab said. Appealing to the Taliban he said, "You are rejecting your mothers' will. You do not accept God's orders and kill your own, and this makes God sad." This is Hazrat Gul from Kandahar. It will be better if peace comes. We all want peace. Now the people here have got tired of the fighting and peace has to come. It is a good report, thanks. We really want the war to stop. 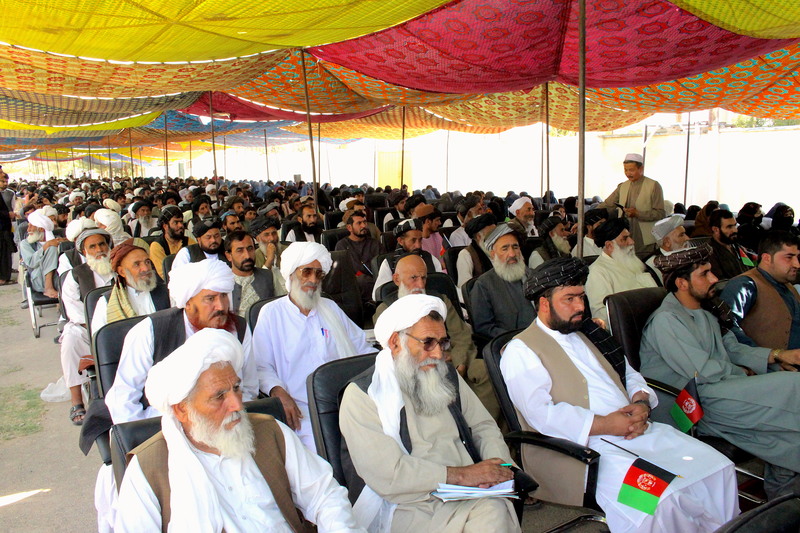 More than 1,000 religious scholars and tribal elders, as well as about 300 women, called on the Taliban to declare a lasting ceasefire for Eid ul Adha and hold talks with the Afghan government. Officials urged the women to speak out against violence in their homes and communities. 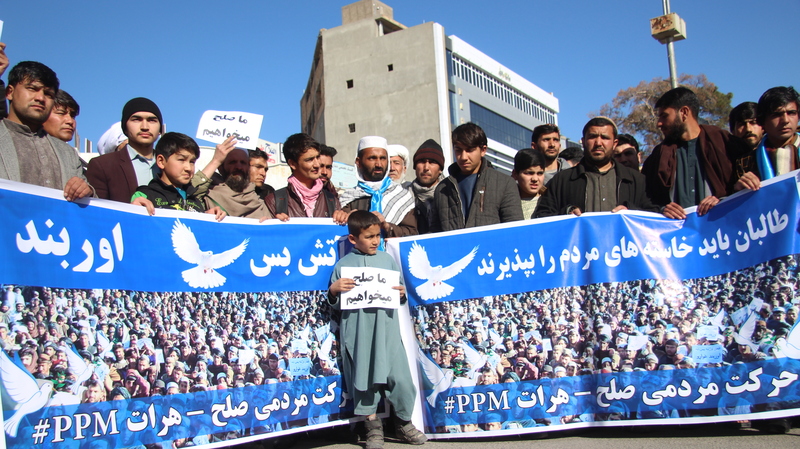 The movement has so far brought its calls for peace from Helmand to Kabul, Kandahar, Maidan Wardak, Ghazni, Balkh, Kunduz, Uruzgan, Baghlan, Khost and Herat provinces.